These terms and conditions govern your use of our website and your purchases in store. Please read these terms in full before you use this website. If you do not accept these terms and conditions, please do not use this website. Your continued use of this website confirms your acceptance of these terms. 1.16 Prices exclude delivery charges unless otherwise stated. 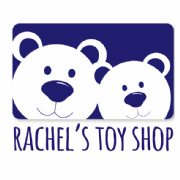 1.17 Rachel's Toy Shop reserves the right to alter prices and all prices are subject to change. 1.18 All products and prices are subject to availability. 1.19 Prices are liable to fluctuate due to import costs and euro exchange rate, however all prices are correct at the time of your order. 1.21 If you are in possession of the goods you are under the duty to retain them and take reasonable care of them. You must send the goods back to us to our contact address at your own cost (unless we delivered the item to you in error or the item is damaged or defective) as soon as possible once you have cancelled the order. Gift wrapping costs will not be refunded. 1.24 If you choose in store Click & Collect you must bring the payment card and your order number. Unless agreed by prior communication, goods will be refunded and the order cancelled if they are not collected within 14 days. 1.25 Faulty goods must be returned to us for inspection and repair but please contact us for the cheapest return postage to be advised. This does not affect your statutory rights. Please ask for details of the extended warranty that may be available for certain products. 1.26 Unwanted in store purchases of a resellable standard will be refunded with a receipt, or exchanged without a receipt at current selling price, within 30 days of the sale. If no receipt is held, and the item has not been sold within the last 30 days, no exchange will be possible. If the packaging is damaged then a partial refund may be offered. 1.27 Faulty items must be returned to the store for repair. Refunds may be offered on faulty items where a repair or replacement is not possible. This does not affect your statutory rights. Please ask for details of the extended warranty that may be available for certain products. 1.28 The portrayal of colours and packaging is as accurate as photographic and publishing processes will allow. Where the colours may vary from the picture, this will be stated on the product page. 1.29 While every effort has been made to portray items accurately, slight variations may occur.